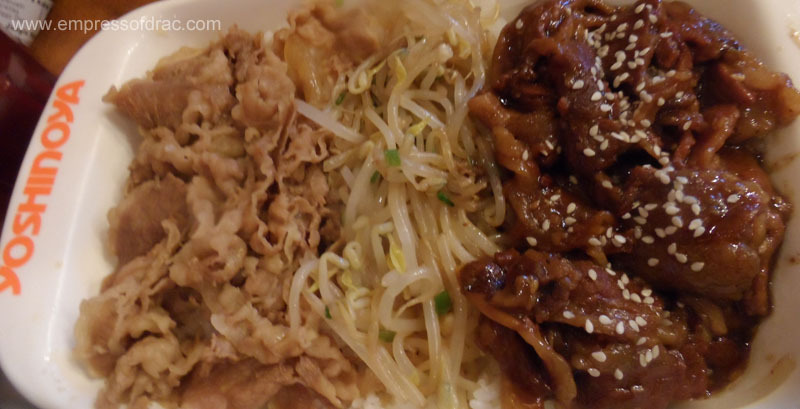 Dude and I often look for affordable Japanese restaurants and we were amazed at what we found when we visited MOA a few weeks ago. This Japanese resto is actually located beside J.CO store, the doughnut shop that I was talking in my previous post. Look at how bloody affordable their menu is. 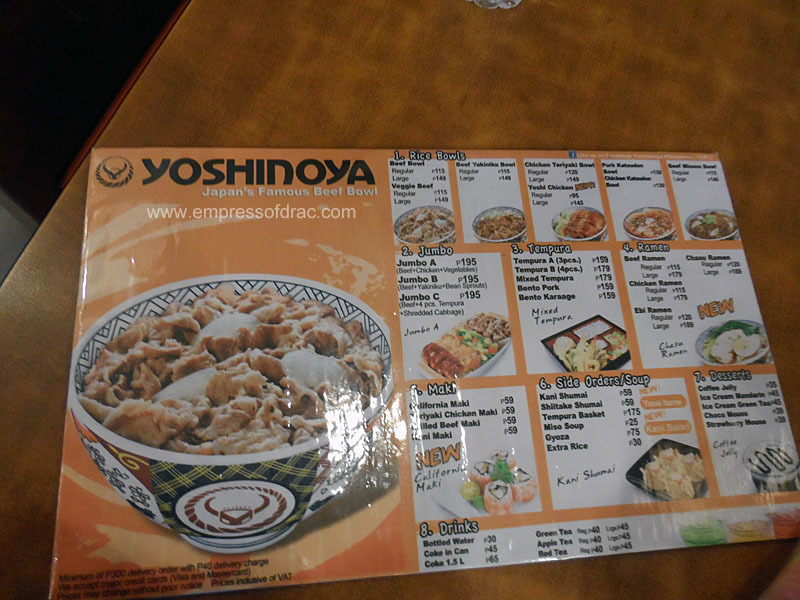 Their prices are around 20% lower compared to Tokyo Joe’s (another Japanese resto where dude and I go to here in Cebu). I was really in the mood to eat a lot when we were on our way. But, my friggin’ migraine has stolen my appetite the moment we entered the store. 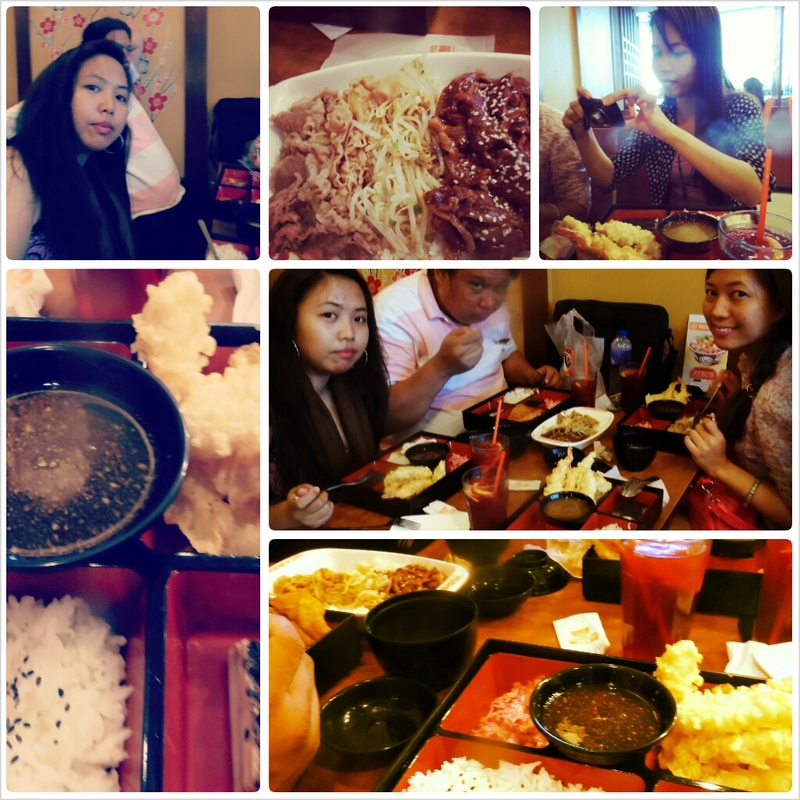 ): Nevertheless, I really enjoyed their California Maki and their Beef Yakiniku. This Beef Yakiniku is priced at P195.00. 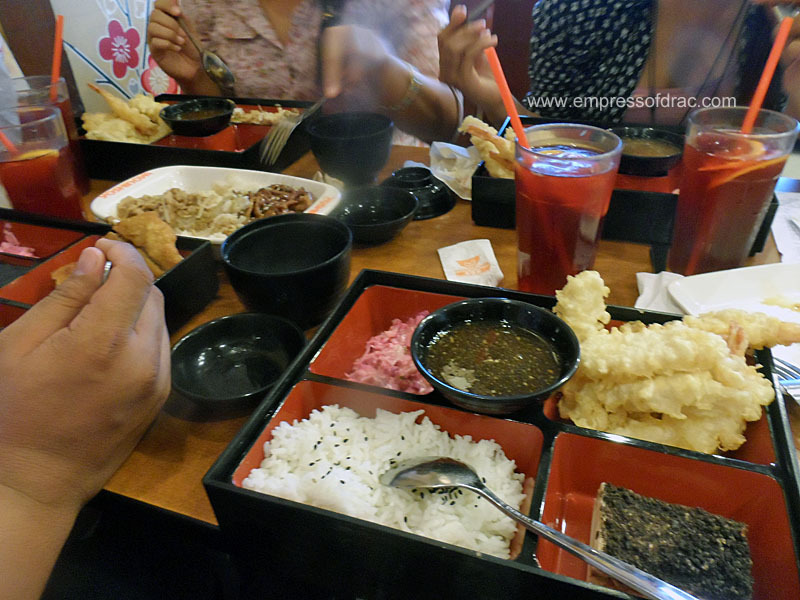 We also ordered a Bento for each of us because it is way cheaper compared to single dish orders. 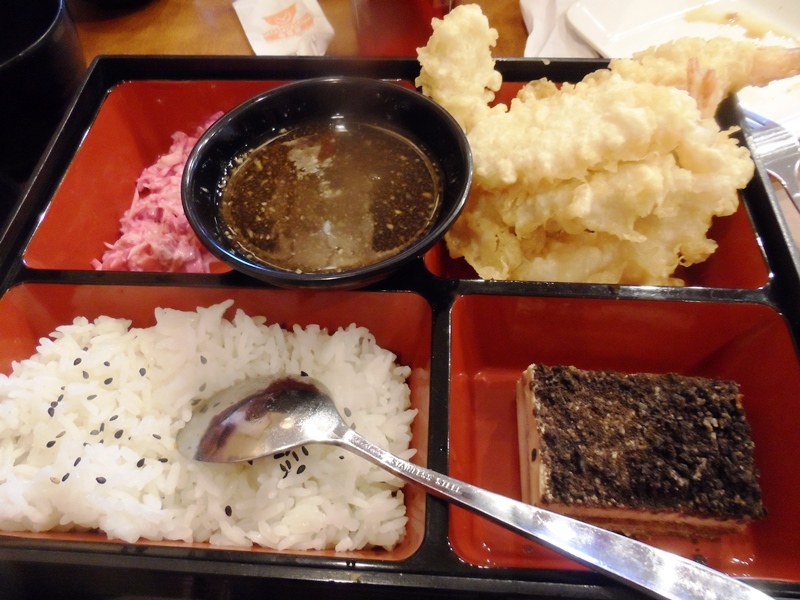 Each Bento is comprised of a soup, an appetizer, the main dish, rice, and a dessert. 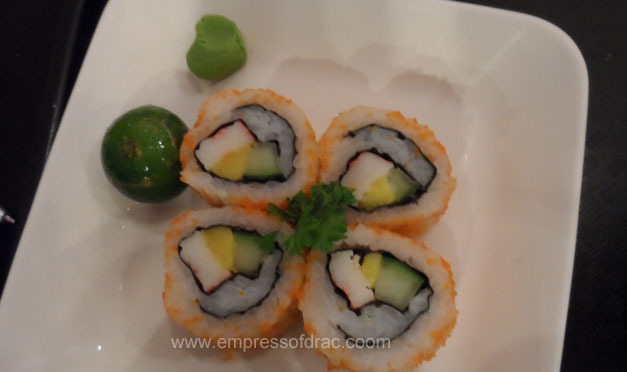 Their Bentos are priced from P159.00 to P179.00. Really affordable compared to other Japanese restaurants I’ve been to. Yummy, I love Jap Food. I wish there’s a branch here in Cebu. I miss Jap food. Woww, everything looks delicious! Wonderful colors and flavors.